The Buick Envision compact crossover goes under the knife for 2019, emerging with sharper looks, new features, and, in the case of the high-end Premium trims, powertrain improvements. 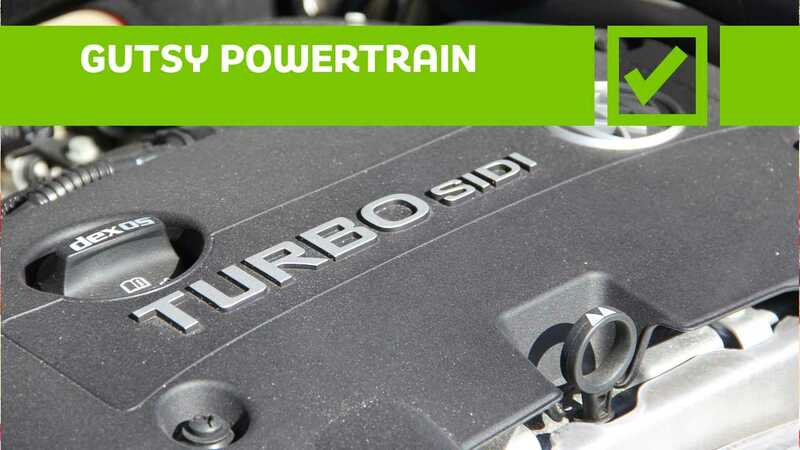 Although the entry-level 197-horsepower 2.5-liter inline-four carries over unchanged in 1SV, Preferred, and Essence trims, the 252-hp turbocharged 2.0-liter four-cylinder that exclusively powers Premium models sees its torque swell from 260 pound-feet to 295 lb-ft. 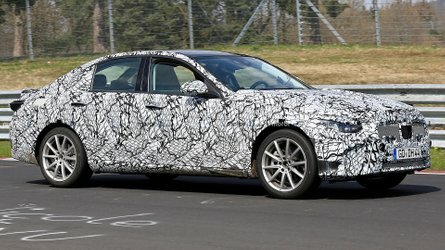 Accompanying the extra twist is a new nine-speed automatic transmission, which replaces the prior six-speed unit (the 2.5-liter engine still pairs with the six-speed gearbox). 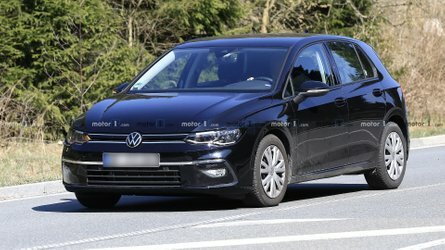 It’s a formidable combination, but is it a compelling enough option to overcome this Chinese-built crossover’s faults? 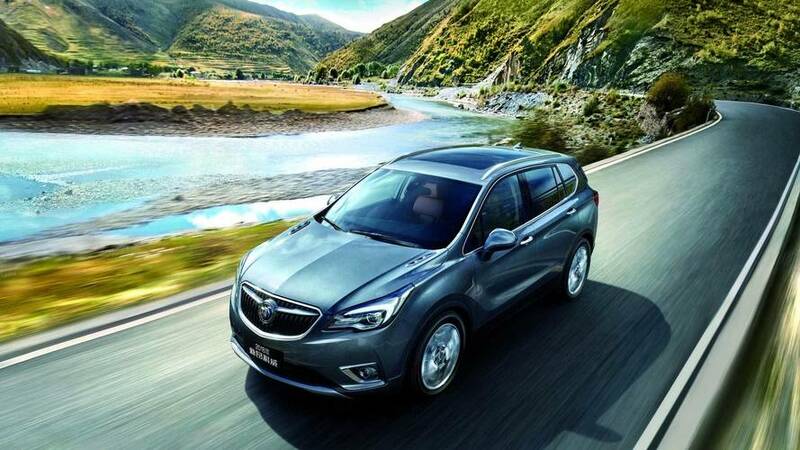 Opt for the $41,895 Envision Premium and this Buick crossover comes standard with a torque-rich turbocharged 2.0-liter four-cylinder engine. While Envisions equipped with the base 2.5-liter four-pot are available with either front- or all-wheel-drive, the forced-induction engine is an all-wheel-drive-only affair. That’s no bad thing, as Buick equips Premium trim models with a twin-clutch all-wheel-drive system that can actively shift power between the front and rear axles, as well as the left and right rear wheels. As a result, the 4,083-pound Envision Premium steps off the line with authority and tackles turns with surprising confidence. 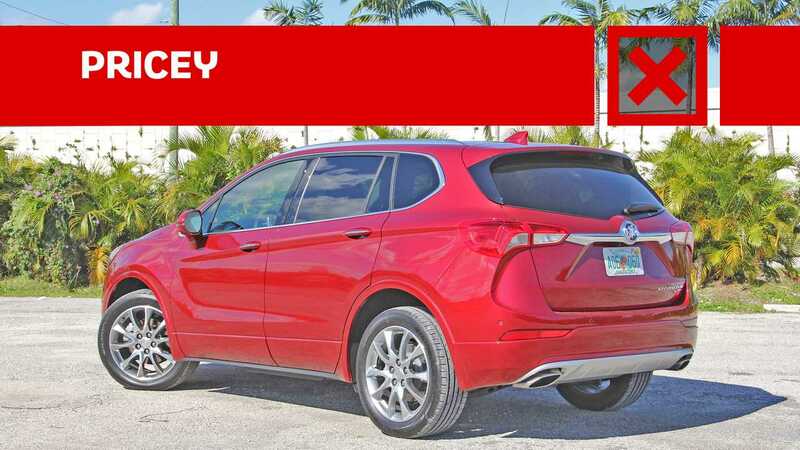 Factor in the almost prophetic responses of the nine-speed automatic transmission and the Envision Premium makes a good case for spending the additional $8,705 it costs over the entry-level, naturally aspirated Envision 1SV. That said, its 25-mpg city rating and modest 1,500-pound towing capacity are disappointing. With ample use of sound deadening materials, thick window glass, and an active noise-cancellation system, the Envision’s cabin defends its occupants from unwanted external sounds like Superman protecting the people of Metropolis from General Zod. It’s amazing what a small nip and tuck does to the Envision’s exterior styling. Lightly revised fascias, a slightly altered grille, and a slimmer set of LED taillights erase the clunky details of last year’s Envision. 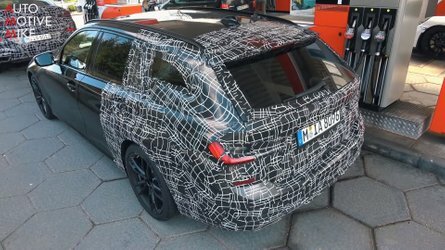 Subtle as the changes are, the overall design of the 2019 Envision is far more cohesive and handsome than it was before. Buick bills itself as a premium brand and prices the Envision as such. 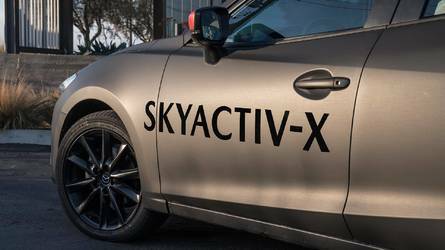 While the base 1SV model wears a sticker price of $31,995, stepping up to the more powerful Premium trim requires shelling out $41,895 – $5,005 more than the similarly powerful, and better equipped, Mazda CX-5 Signature. 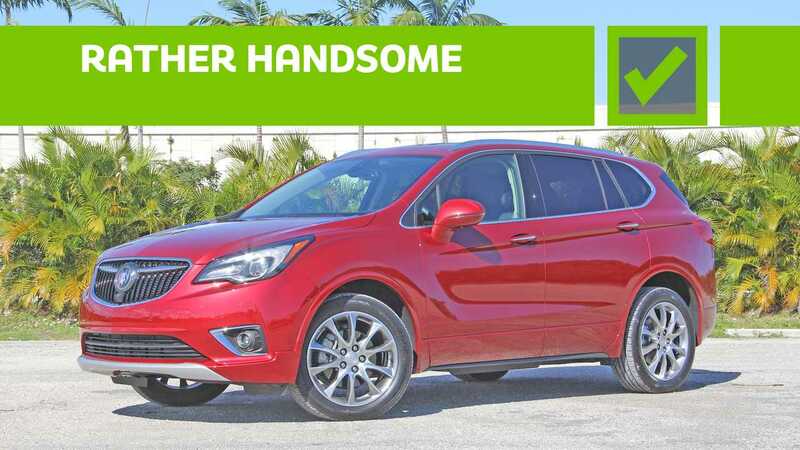 Those in search of more toys, however, can choose the even more lavish $44,795 Envision Premium II, which adds items such as an in-dash navigation system, heated and cooled front seats, a head-up display, and more. Not expensive enough for you? Don’t worry, because Buick offers a number of optional extras for its top-of-the-line model. 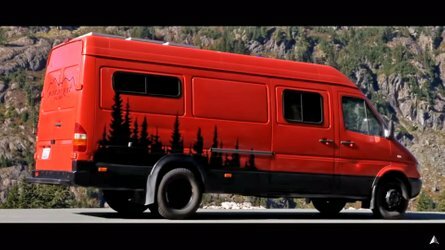 This tester boasts $4,235 worth of them, including $495 worth of Chili Red paint, a $1,495 panoramic sunroof, the $1,545 Driver Confidence package (adaptive cruise control, automatic front braking, and a 360-degree camera system), and a set of 10-spoke 19-inch wheels – that replace the standard 12-spoke 19-inch wheels – for $1,895. 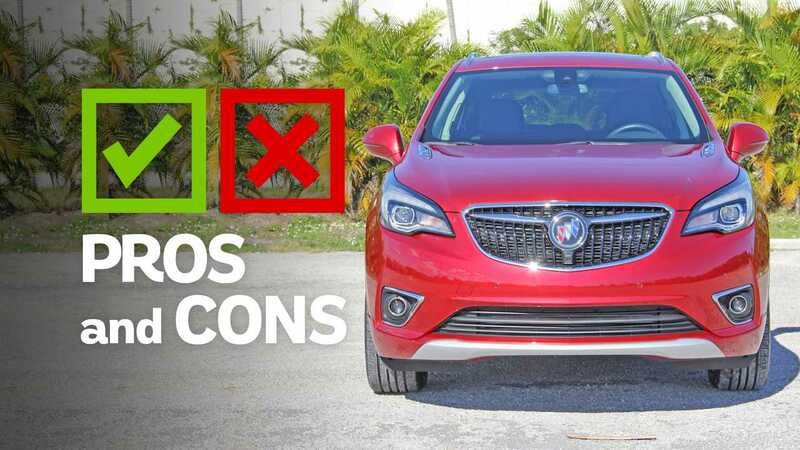 Factor in the Envision’s $1,195 destination charge, and you’re looking at a Buick crossover with an as-tested price of $50,225, or $1,330 more than a similarly equipped Acura RDX. Yes, the Envision is relatively nice, but it’s certainly not $45,000 nice, yet alone $50,000 nice. 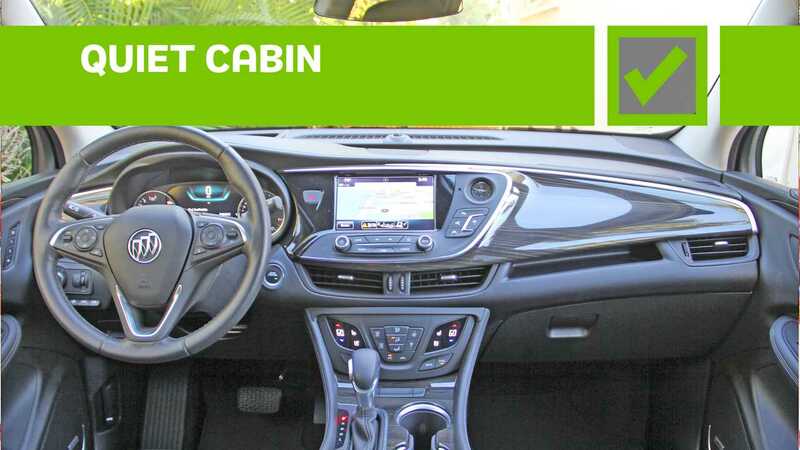 Although the Envision’s cabin is a step up from the likes of the Chevrolet Equinox or GMC Terrain, the Buick’s interior lacks the build quality of other compact crossovers such as the Mazda CX-5 and Honda CR-V. This isn’t to say the Envision’s insides are a total loss. 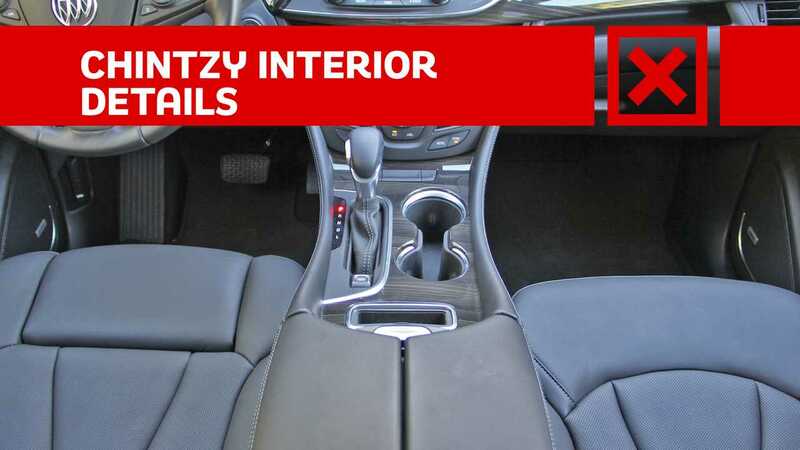 With liberal use of soft plastics and an ergonomically friendly infotainment system, the Buick’s passenger compartment is far from the worst in this segment. Still, the Envision’s dashboard-mounted slab of cheap-looking, over-lacquered faux wood and its slow-to-respond touch controls for the dual-zone front climate control system make the innards of this compact crossover look and feel far cheaper than its price tag suggests. Despite measuring 183.7 inches long, the Envision’s cargo bay is smaller than those of both the 4.6- and 3.1-inch shorter Mazda CX-5 and Honda CR-V. The former’s 30.9-cubic-foot space with all seats in place tops the Buick’s 26.9 cubic-foot cargo-hold by 4.0 cubes, while the latter’s 39.2 cubic feet cargo area bests the Envision’s by 12.3 cubic feet. Rear seat stretch-out space is similarly lackluster, and the Buick’s 37.5 inches of rear legroom is down 2.1 and 2.9 inches to the Mazda and Honda. 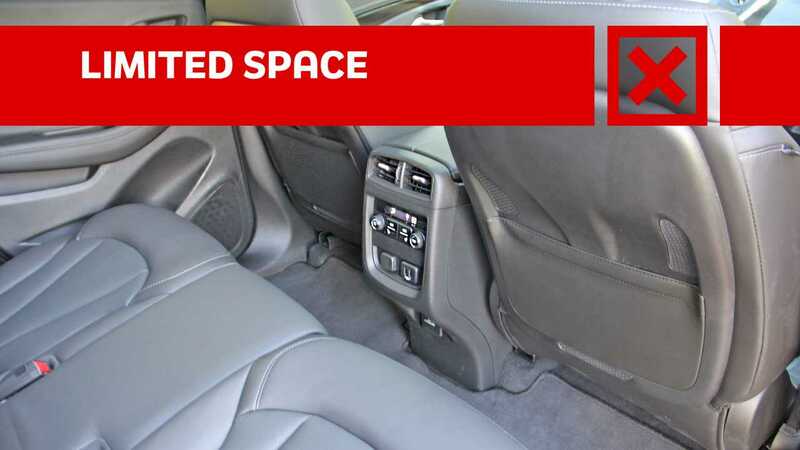 While the Envision’s hatch and back seat are far from tight, those looking for maximum cargo carrying capability and more accommodating rear seats will want to consider other options in this class.